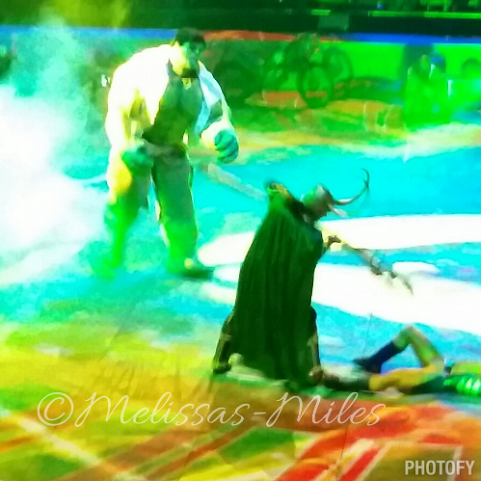 Marvel Universe Live: Whose side will you be on? As pieces of the Cosmic Cube, which is the ultimate power, are scattered throughout the globe thanks to Thor and his mighty hammer, Loki and other super hero rivals begin their search. You will watch as Wolverine, Captain America, Storm and many more super heroes’ battle against the Green Goblin, Doc-Oct and many more opponents in order to save the world “One city at a time”. 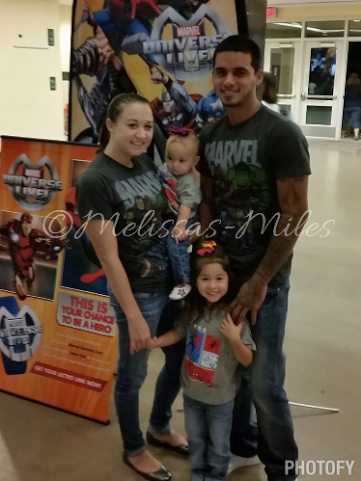 While being transported into the Marvel Universe world, child and adult alike will see a show unlike all others. 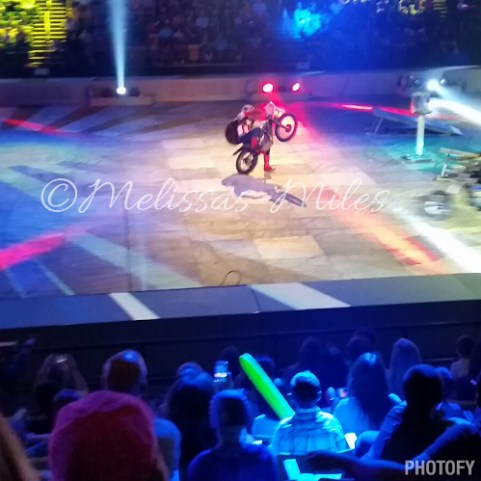 With new Pyro, Motor and Vehicle stunts child and adults alike will see their favorite superheroes and villains all on one stage world. 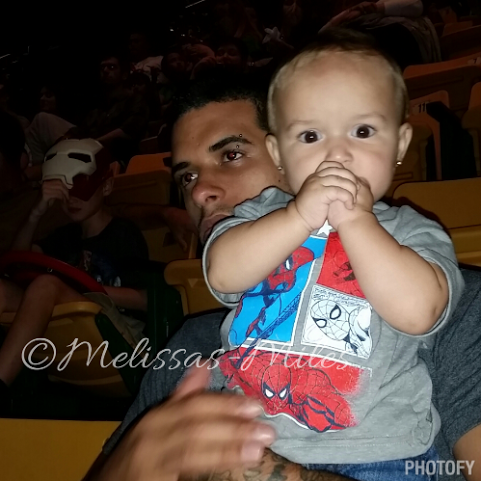 Everyday draws closer to the big show, September 12th at the Patriot Center Fairfax, VA, Isabella and I speak more about what we will be seeing. As she puts on her superhero cape and runs through the house all I can think is how she will adore seeing Captain America and the many superheroes I grew up watching, reading and dressing up as. Don’t worry there are plenty of chances to see these superheroes all around the United States, Canada and the United Kingdom. 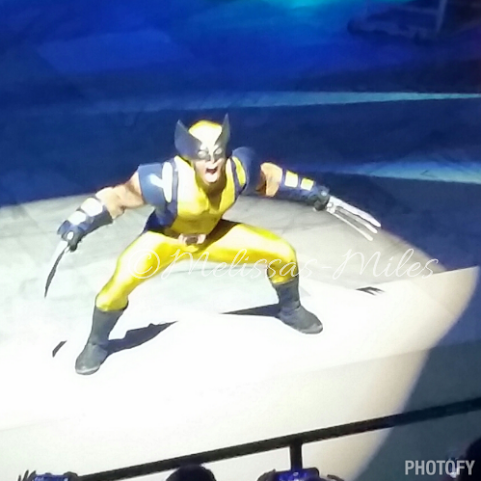 Though show times and cities have not been listed for Canada and the United Kingdom, Marvel Universe Live has publicized the United States show times and cities; which I have the following listings for my area. 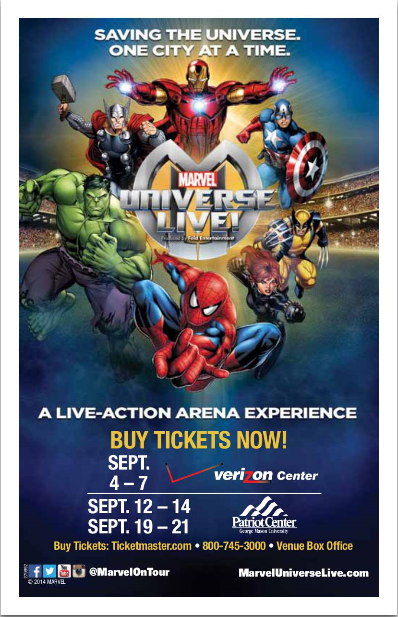 I hope to hear everyone’s experience with Marvel Universe Live; I know my family and I cannot wait for the showing at the Patriot Center in a couple of weeks. Whose side will you be on?